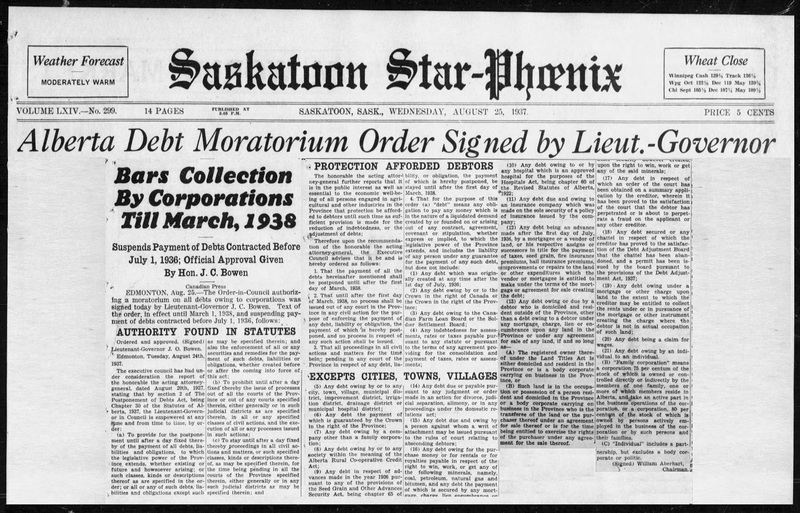 QUESTION: You always mention how there were defaults and suspension of debt during the Great Depression by states and municipals. Was this also true in Canada? ANSWER: Oh, yes. Whenever commodities have collapsed, Alberta finds itself in trouble. Central banks look to the national market and not to the regional sectors.